So you're at the grocery store and you see this unbelievably cute brunette walking down the aisle. She's so gorgeous that you feel weak in the knees just looking at her. You want to approach her, but you can't. What do you do? Read on to find out. Did you ever notice that whenever you see that hot blonde at the coffee shop or that cute redhead at the food court, your mind always comes up with the perfect excuse on why you can't approach her? You can't come up with anything witty to say, so you walk right by her and regret it for the rest of the day. Why does that always happen? Are our brains secretly sabotaging our thoughts and trying to prevent us from being successful with women? Surely that can't be the case as nature pushes us to procreate and pass on our genes. What's going on here? The issue is that you're focusing on the wrong thing, i.e., the end result. When you see an attractive woman, your brain tells you that she's a healthy, child bearing female so you should mate with her to pass on your genes. Obviously you can't just do that, so you need to slow things down a little. When you want something in life, understand that there are always multiple steps you must take to go from where you are today to the point you want to reach. Once you identify all the steps, it is imperative that you take action and practice each skill until you master it before you move on to the next one. Let's break down the process of approaching women and starting conversations with them into smaller steps. Obviously the first step is that you have to find a place where women frequent. This could be a mall, a bookstore, a coffee shop etc. So action item number one is to get out there and scope out several places that have lots of women that you would be interested in meeting. If you find it difficult walking up to a woman and starting a conversation with her, try something a little easier. For instance you could practice making eye contact with her first. In fact, challenge yourself to an experiment and go to the mall this weekend just make strong eye contact with at least one hundred different women. It might seem silly, but think about how that experience will shape you after you accomplish it. Making eye contact with attractive women will become second nature to you. You won't have those shifty, nervous eyes when you approach them in the future because you've already mastered that skill. Now you can move on to the next skill. In this case, it might be as simple as making eye contact and smiling at her. Again, try the mall challenge and smile at one hundred different women just so you feel at ease with it. The experience will give you the confidence to move on to the next step which is where things really get interesting. Now it's time to start approaching women. It should be much easier now because you've already mastered the skills you need that act as a foundation. Visit the locations that women flock too, make eye contact and smile. If she smiles back, that's a universal sign that she's interested. It means she's giving you permission to walk up to her and start a conversation. Walk up to her and just start chatting. It doesn't matter what you talk about, it doesn't matter if it goes horribly wrong. You're not trying to impress her or take her home, you're just practicing the art of approaching a woman and starting a conversation with her. Give yourself a quota of walking up to at least ten women each day and talking with them. The first one will always be the hardest, but once it's done, you'll find that talking to more women becomes a lot easier. You just have to get out there and start doing it. If you get a woman that's cold or mean, just shake it off. Remember, it doesn't matter what the outcome is. You don't care whether she loves you or hates you. All you care about is practicing your skill of approaching and conversing with women you're interested in. Reflect on each encounter and think about what you could have done differently to improve. By focusing on the learning and not the outcome, you'll come off as a confident, alpha male which women are naturally attracted to. Only then will you start achieving the success with women you've always dreamed about. Want more tricks to approach women without the fear of rejection? Mike Mendell will blow your mind. Watch over his shoulder as he shows you exactly how to set up a date with a beautiful, intelligent woman any time he wants. 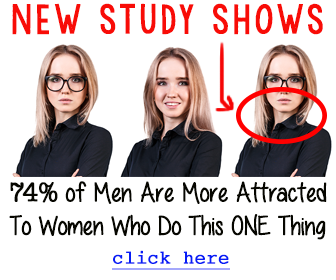 Click Here to Check Out a Free Video Presentation on How to Attract the Right Girl in Your Life.